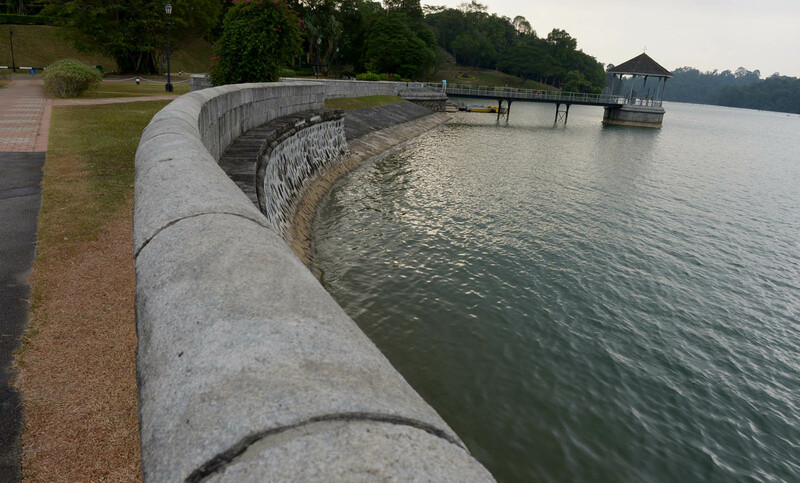 BARRAGE STAYS DRY: The central fountain (above) and a water feature (inset) at Marina Barrage was turned off last Monday. 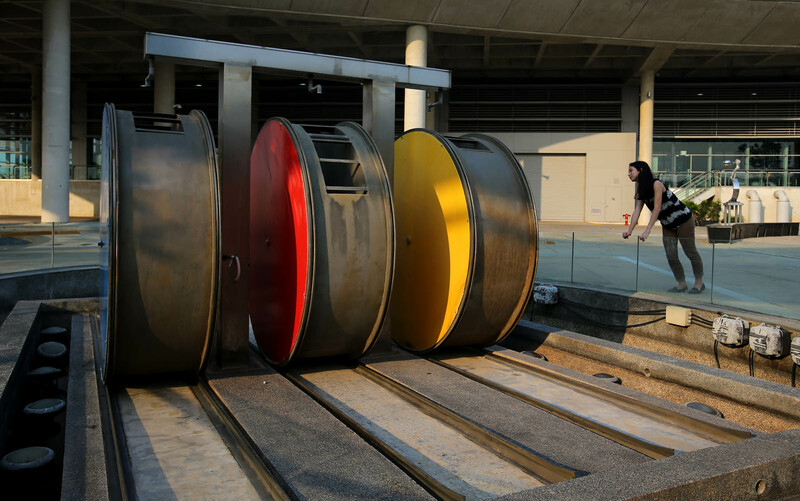 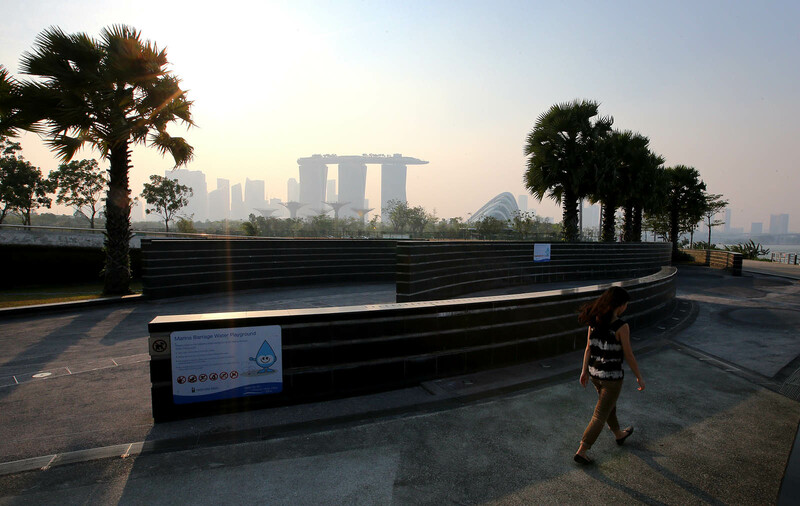 SINGAPORE - The recent dry spell has taken its toll on shopping centres and outdoor attractions with water features. 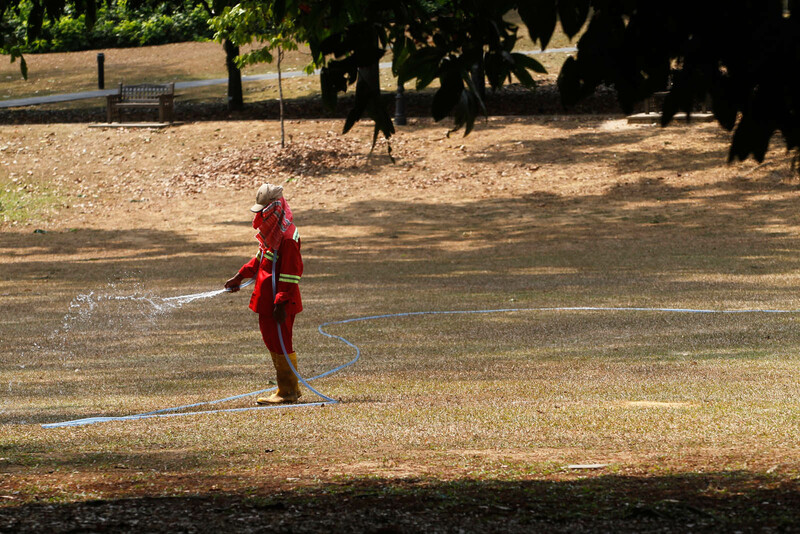 With the school holidays coming up next week, parents planning to take their children to fountains or water playgrounds to beat the heat may be disappointed. 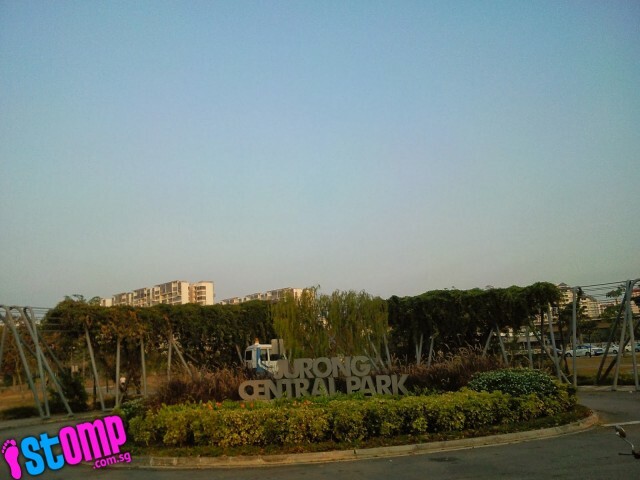 CapitaLand, which owns 19 shopping centres in Singapore, has recently decided to shut most of its properties' water features, such as the fountains at Bugis Junction and Clarke Quay. 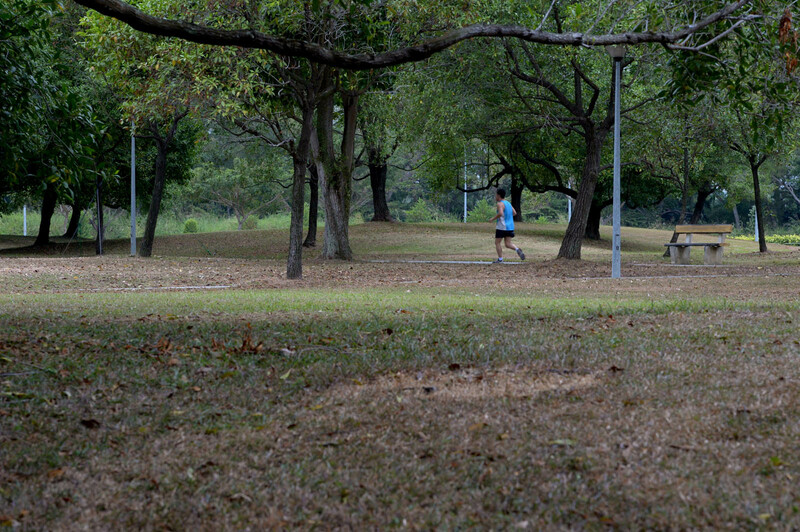 And they are not alone. 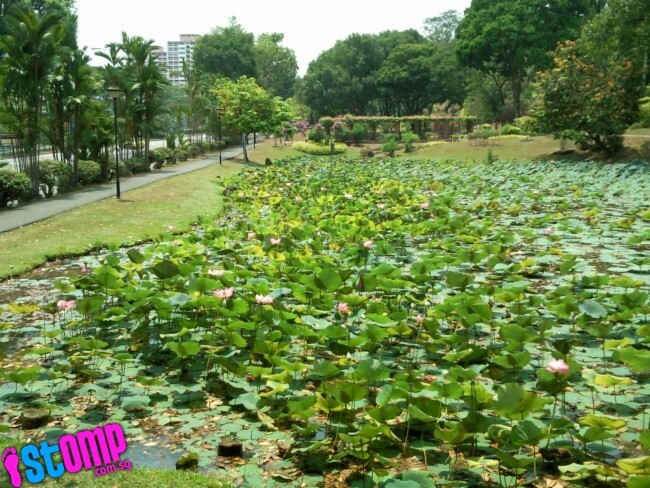 The Botanic Gardens, Marina Barrage, and Resorts World Sentosa (RWS) have also scaled down their water features. 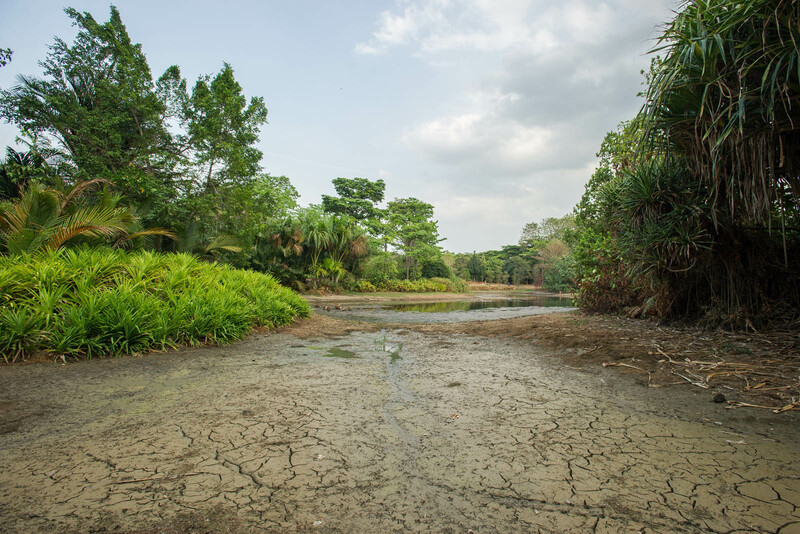 Said an RWS spokesman: "In this current dry spell, we have turned off some of the water fountains and features at Adventure Cove Waterpark, Universal Studios Singapore and in other parts of RWS, in order to conserve water." 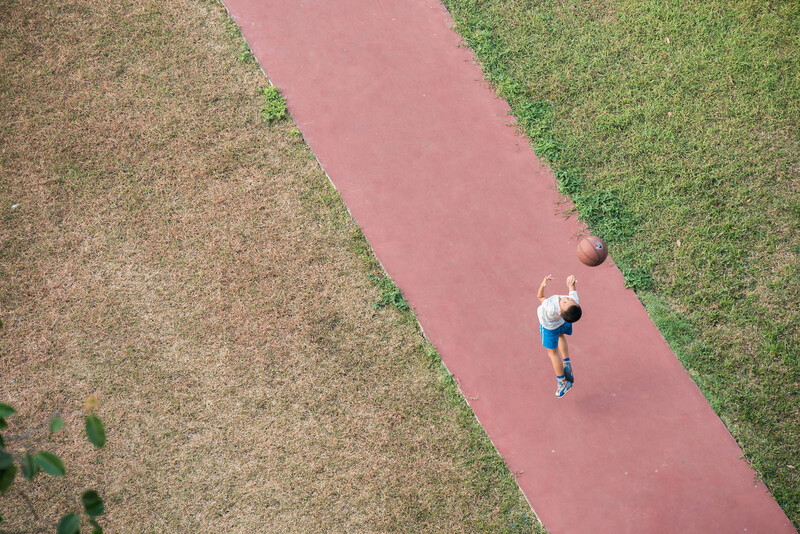 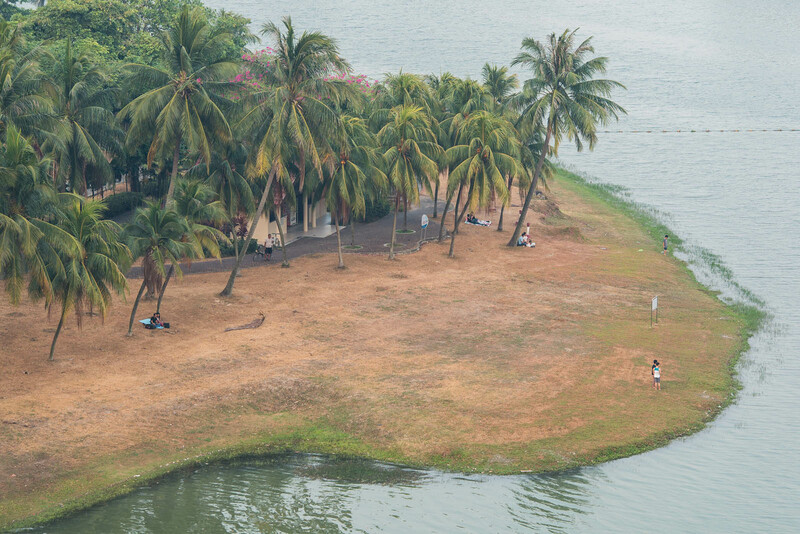 These drastic measures were prompted by Singapore's driest month on record since 1869, with just 0.2mm of rainfall in February. 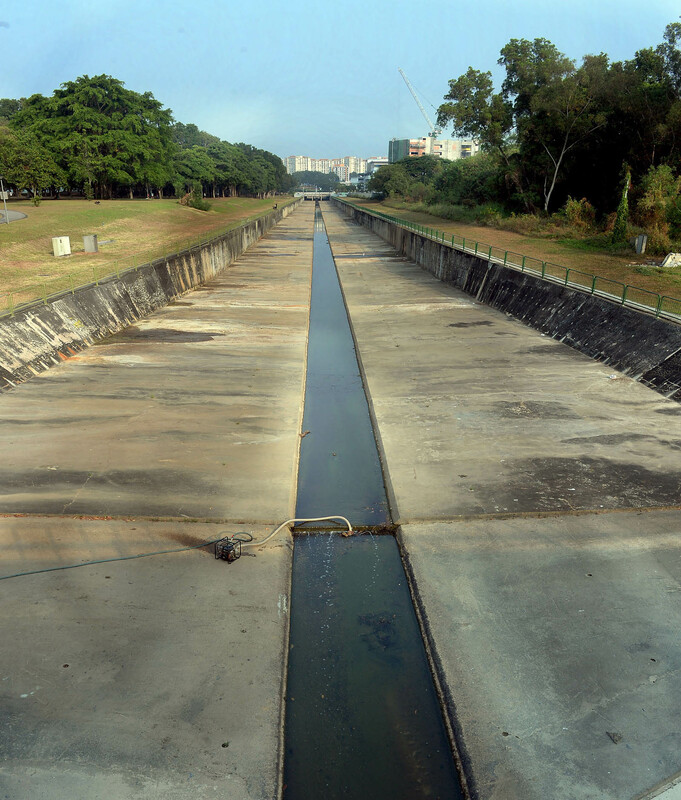 Mr Tan Seng Chai, a spokesman for CapitaLand which operates popular shopping centres such as Plaza Singapura and ION Orchard: "During this period, a majority of our Singapore properties will shut off external water features. 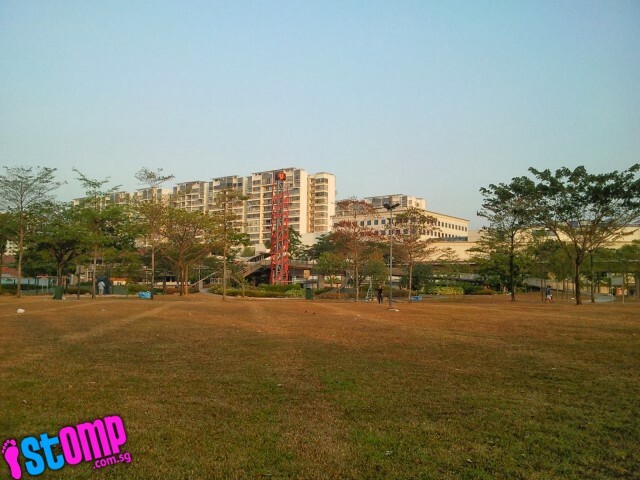 We will also postpone non-essential cleaning such as facade and carpark cleaning." 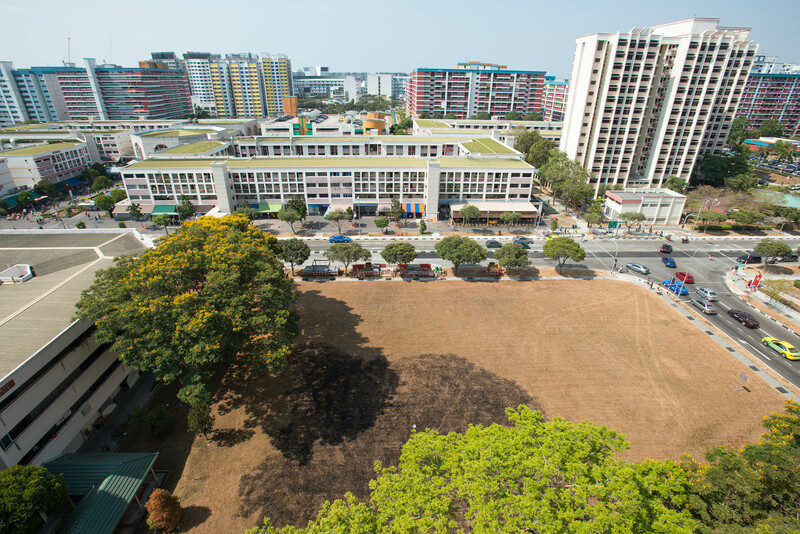 Among the CapitaLand casualties are the fountains at Bugis Junction, Clarke Quay, and water play areas at Lot One, IMM, and Sembawang Shopping Centre. 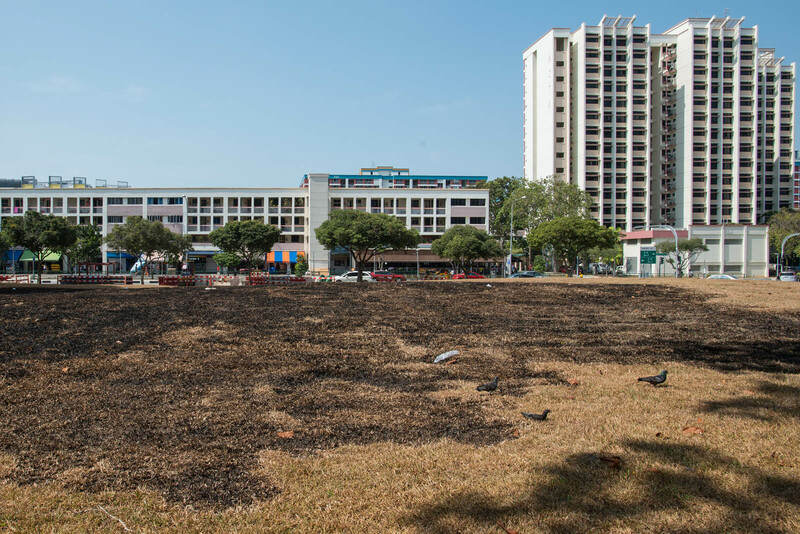 Mrs Linda Hashim, 42, took her children to IMM's wet Garden Plaza playground yesterday, but found that it was closed and had to settle for the dry playground instead. 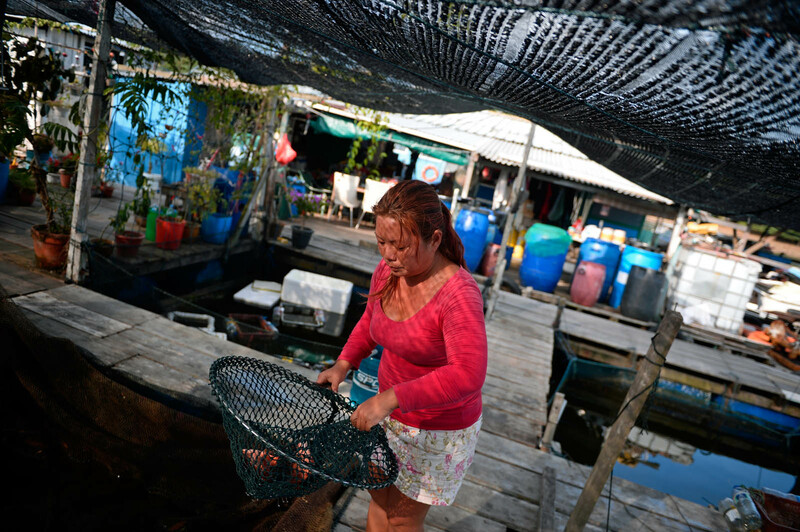 She told The New Paper: "I'm disappointed because I brought them here to play with the water in this hot and dry weather." 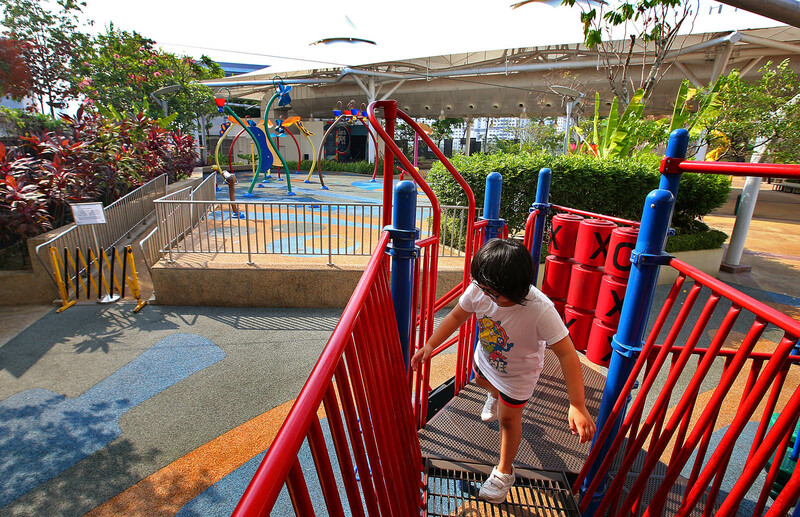 Some parents who took their children to IMM moved on to nearby shopping centre Westgate, which still operates the water features at its playground. 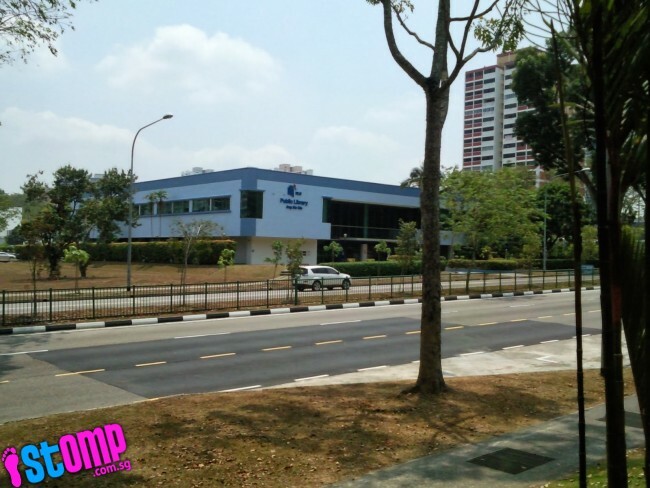 Serangoon mall nex, which is developed by Gold Ridge, shortened the opening hours of their water playground on Monday. 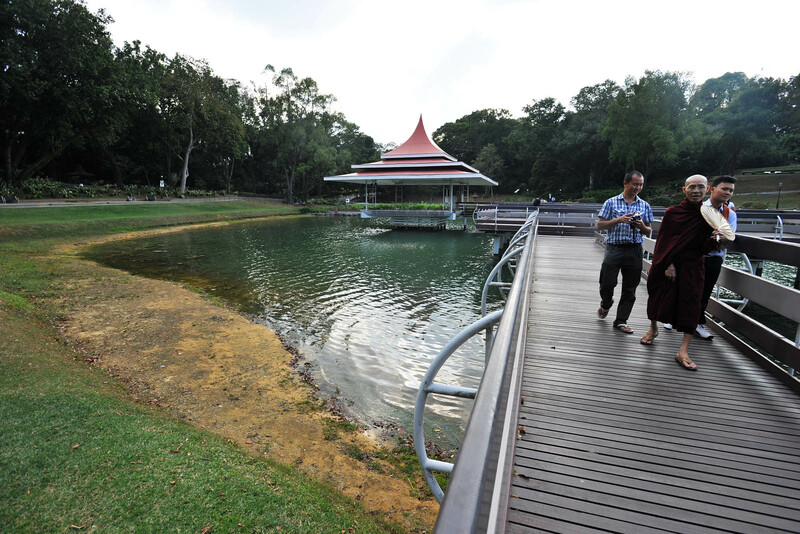 "This is the first step to ensure that we start saving water," said Ms Doreen Yeo, a spokesman for the mall. 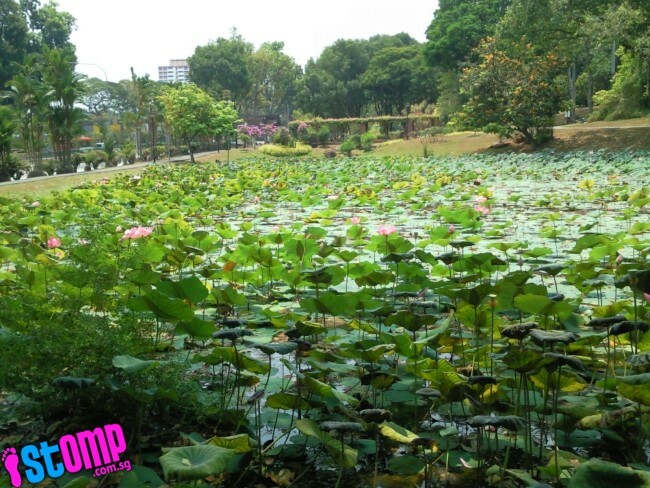 She said they hope to reduce the amount of water lost to "evaporation and constant play". 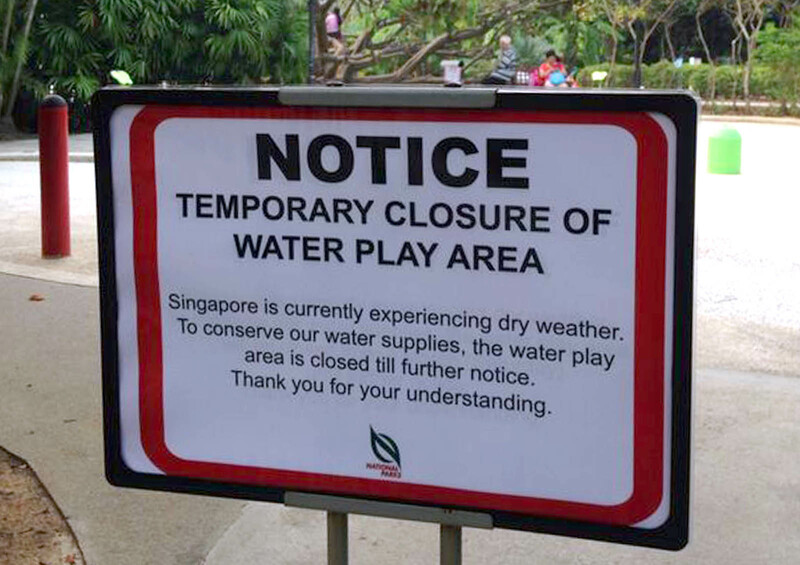 The water play area at the Jacob Ballas Children's Garden in the Botanic Gardens has also been shut due to "dry weather", along with the Water Playground at Marina Barrage. 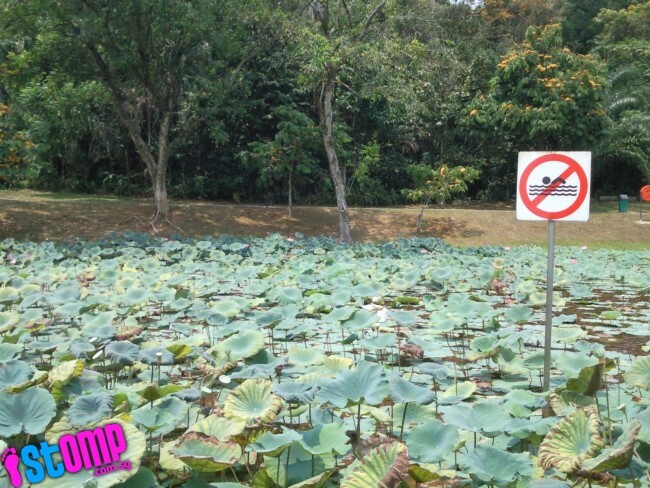 Others, like Gardens by the Bay and VivoCity, have responded less dramatically. 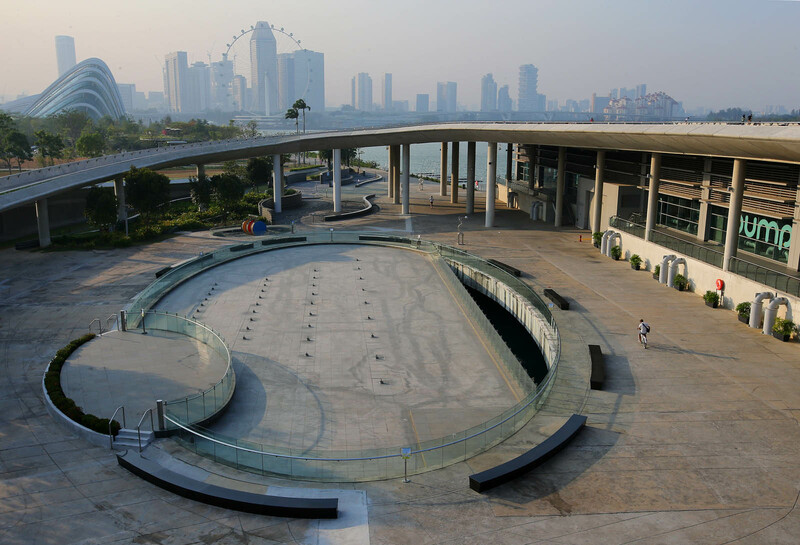 Gardens by the Bay has "moderated the intensity of the water jets in the water play area" and while some water features at Vivocity have been temporarily turned off, its iconic rooftop water feature remains. 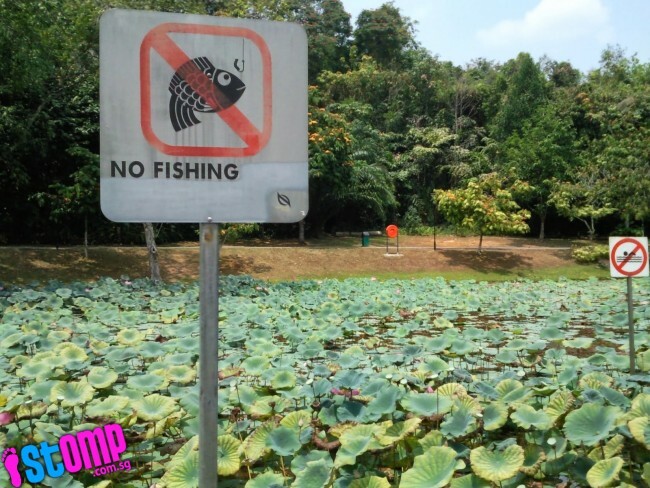 For now, parents are left with these and a handful of other oases like 112 Katong, Wild Wild Wet, and the Kiddy Fun Station Pool at Jurong East Swimming Complex. 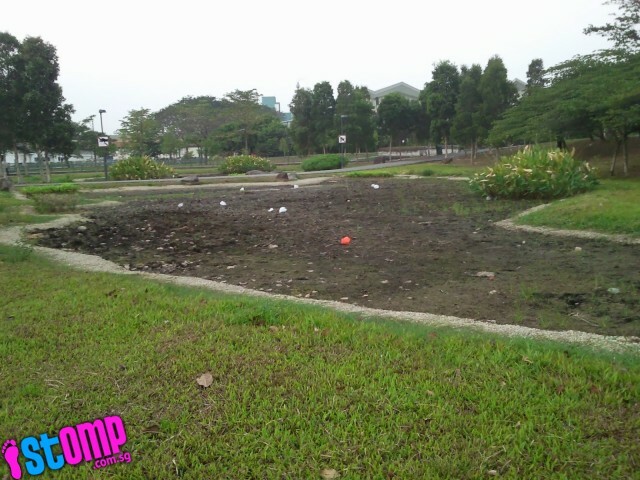 The Water Playground at Marina Barrage has been turned off since last Monday to conserve water. 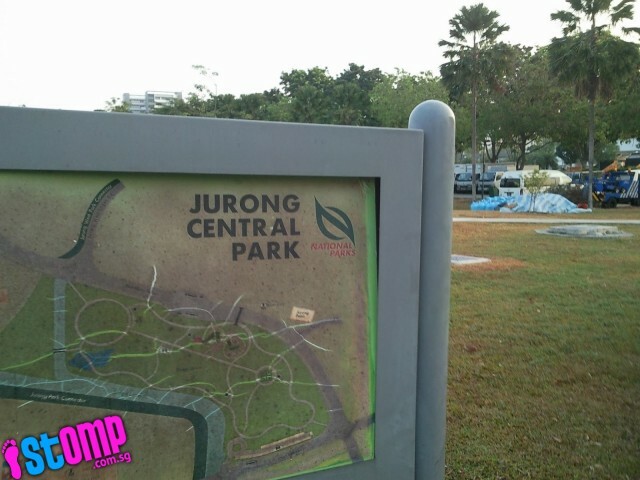 The central fountain at Marina Barrage has been turned off since last Monday to conserve water. 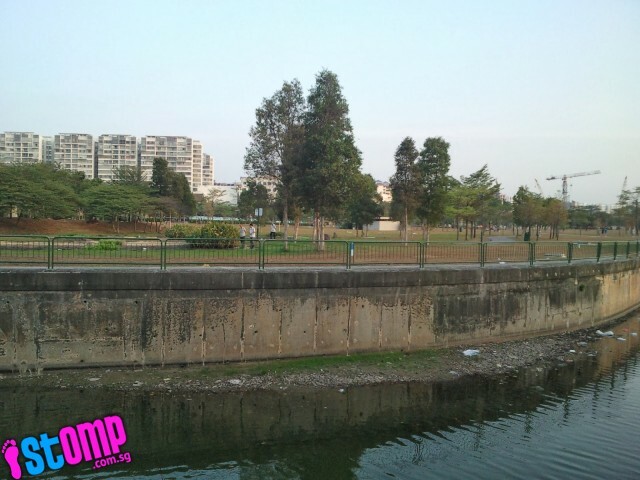 The water feature at Marina Barrage has been turned off since last Monday to conserve water. 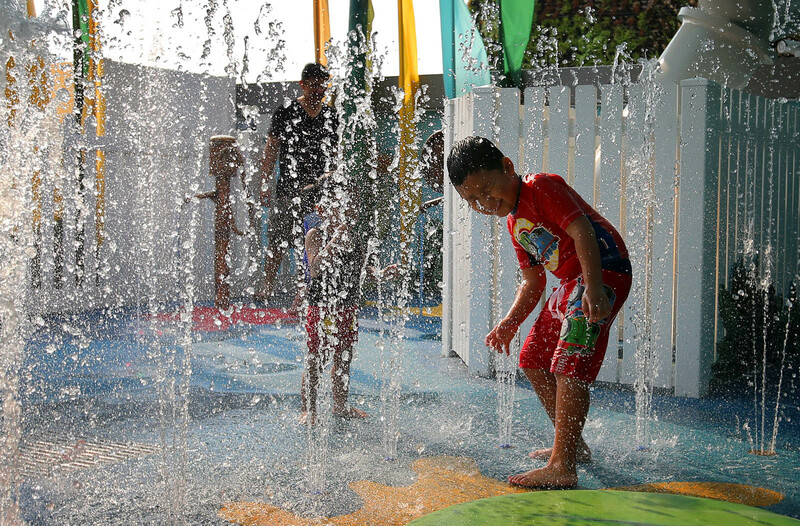 Lucas Boh, 6, playing among the water features at the rooftop playground of Westgate mall, Westgate Wonderland. 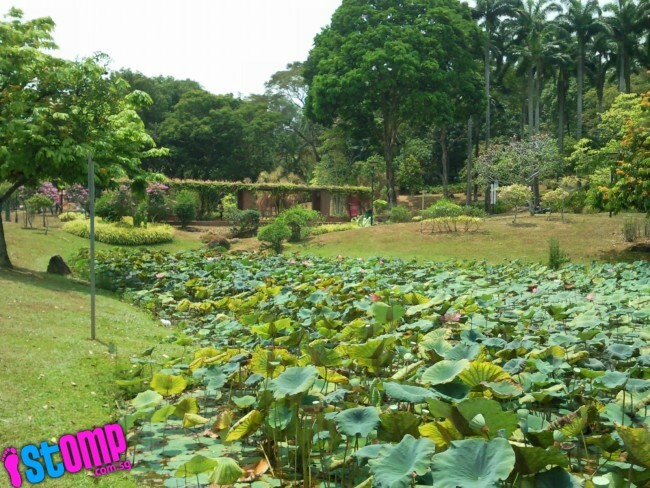 The Jacob Ballas Children's Garden at the Botanic Gardens have been temporarily shut, along with a number of other water playgrounds. 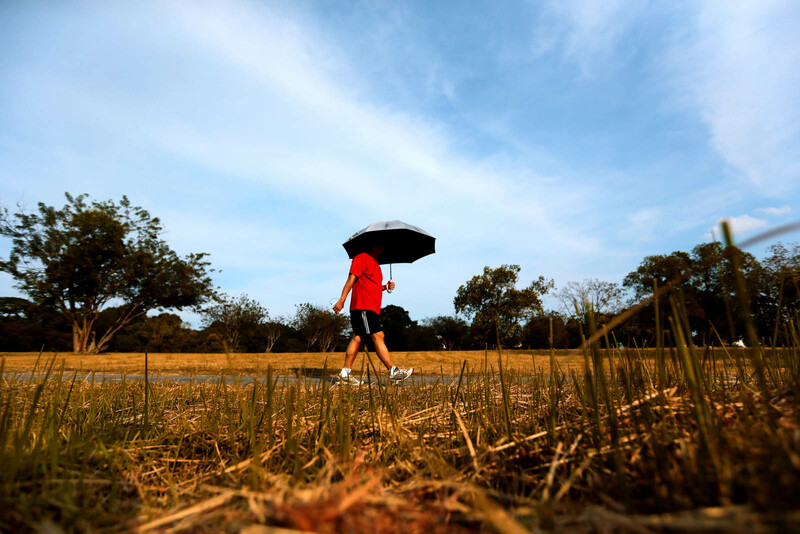 A woman walks under a covered walkway surrounded by scorched grass due the dry spell. 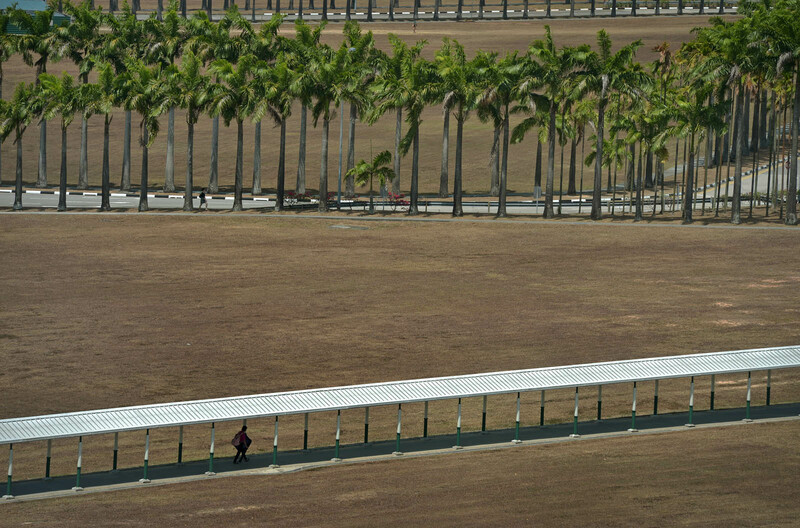 She is sheltered from the blistering afternoon under the walkway. 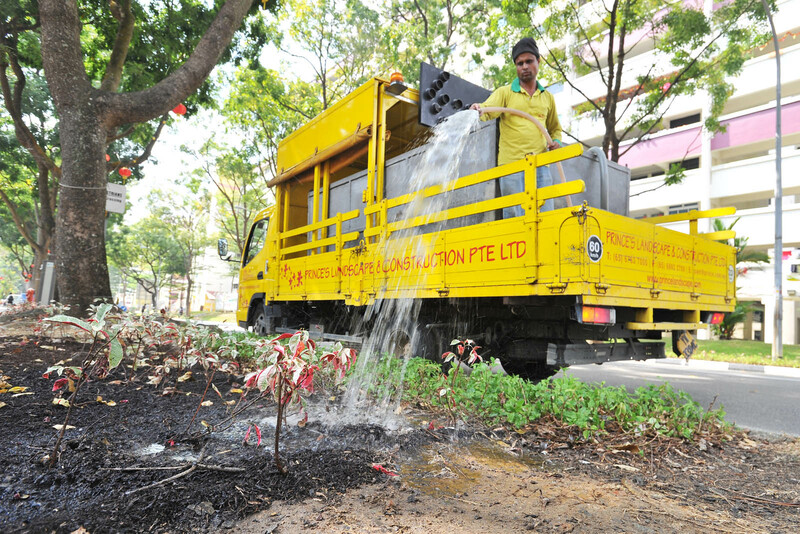 Cleaners are stepping up their cleaning due to the current dry spell. 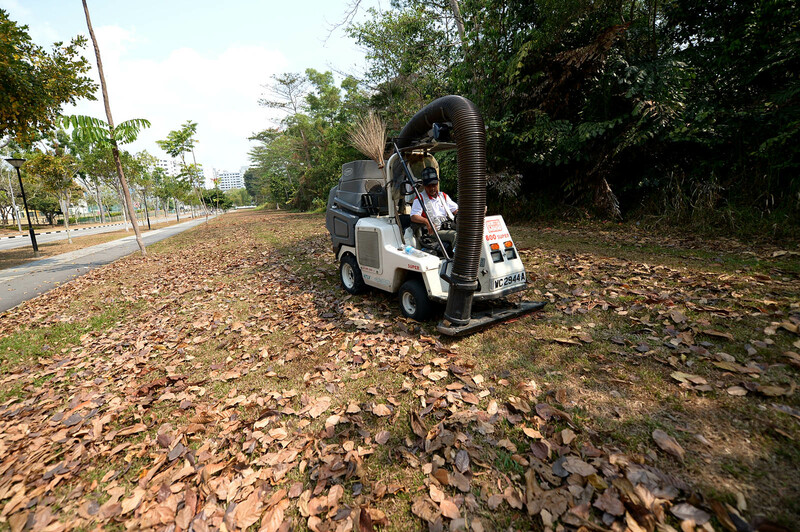 This has led to heavy leaf shedding and an accumulations of leaves in some public areas. 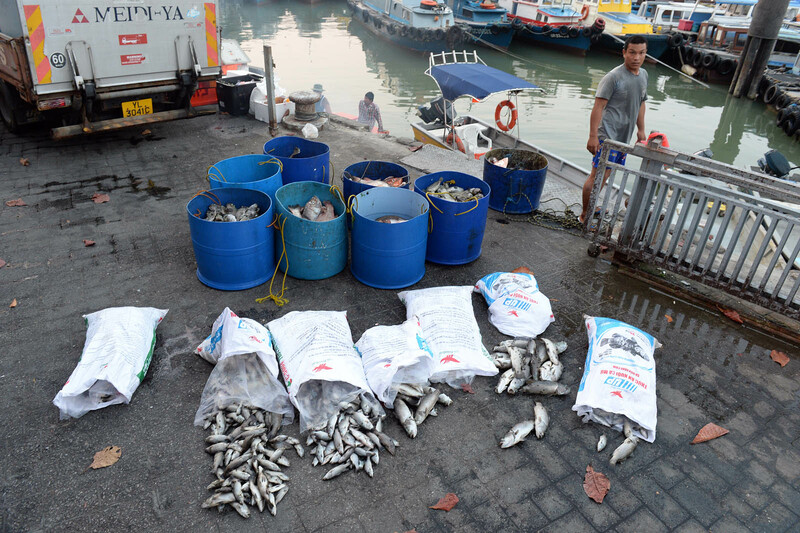 When the bags are full, he has to tie them up and set it aside. 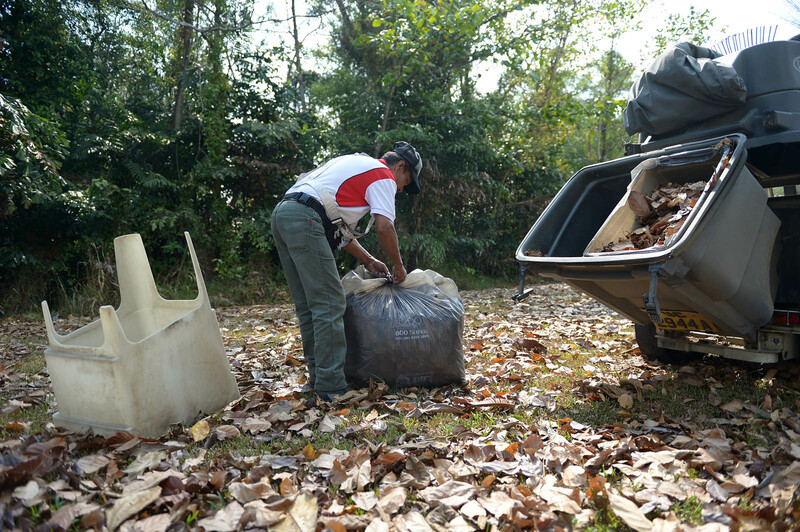 He now collects an average of 30 bags a day, an increase from the 10 bags that he used to collect. 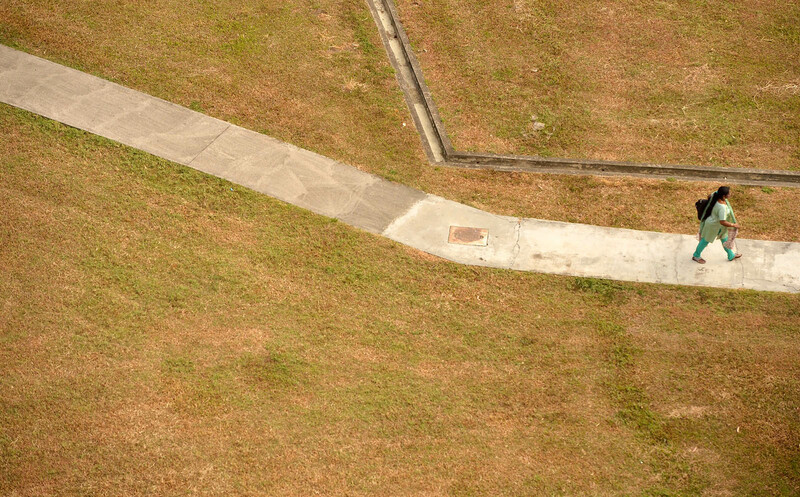 A man watering a parched field in Jurong West. 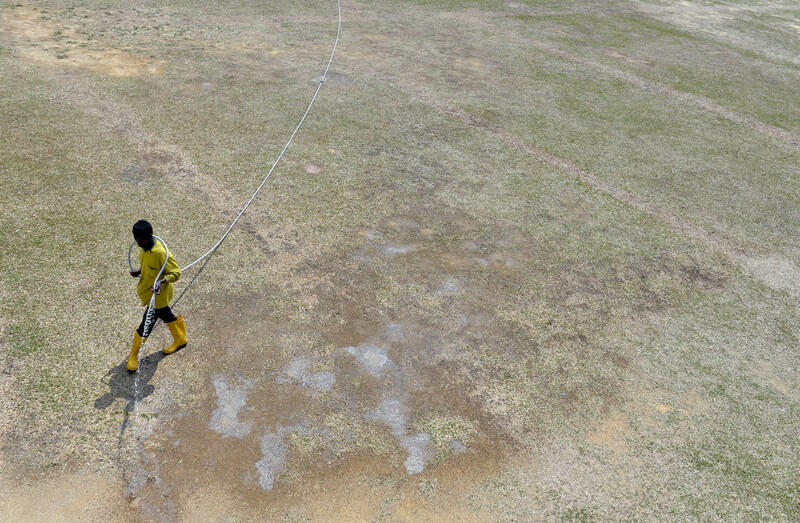 The dry spell has left many open areas and fields totally dried up. 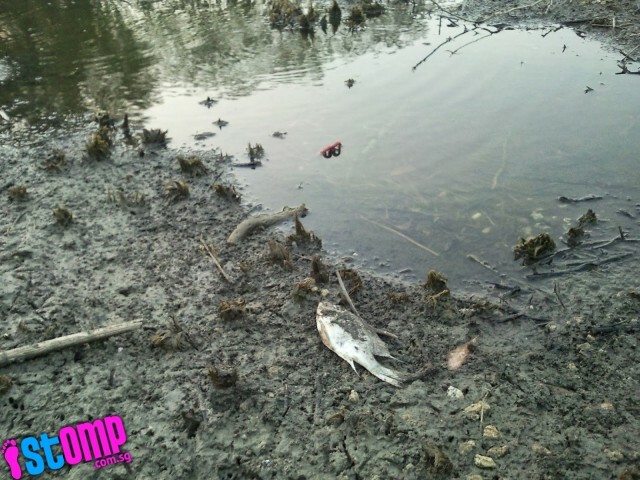 Stomp reader Alan is concerned to see fish struggling to survive as the pond at Jurong Central Park dries up due to the dry spell in Singapore. 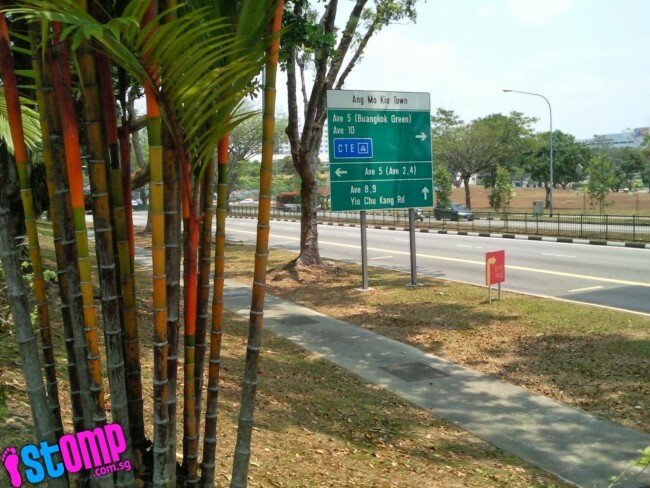 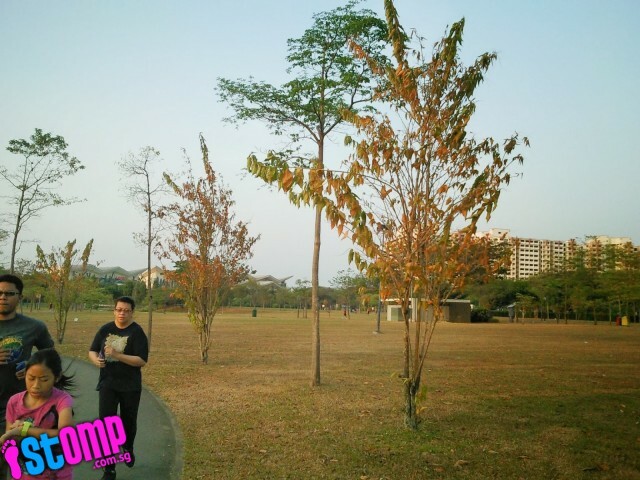 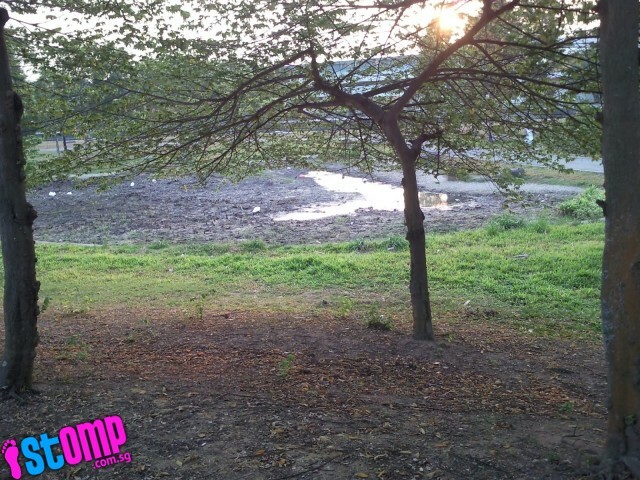 Several Stomp readers have also written in to report on how the dry spell has affected nature in Singapore, such as ponds receding and plants shriveling up and turning brown. 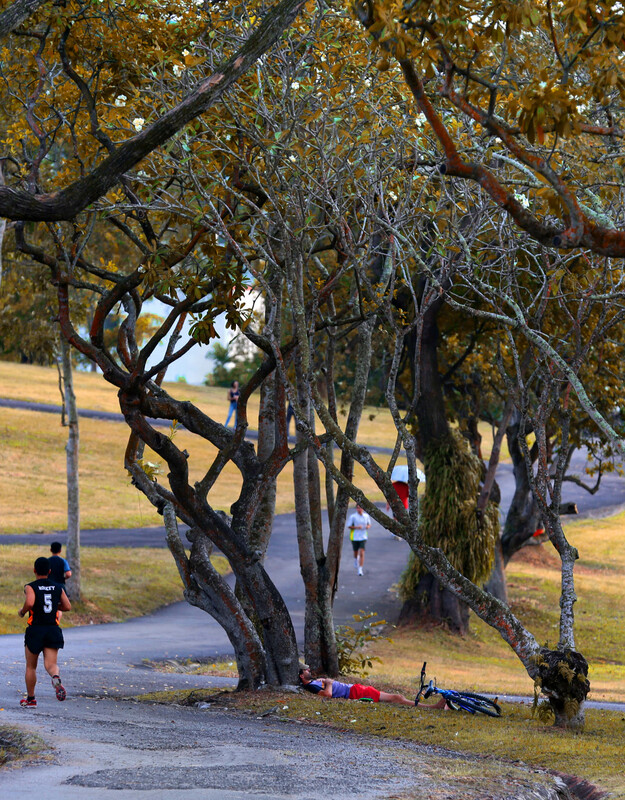 In his email, Stomp reader Alan said: "The trees are not doing better, leaves are withering and turning brown!" 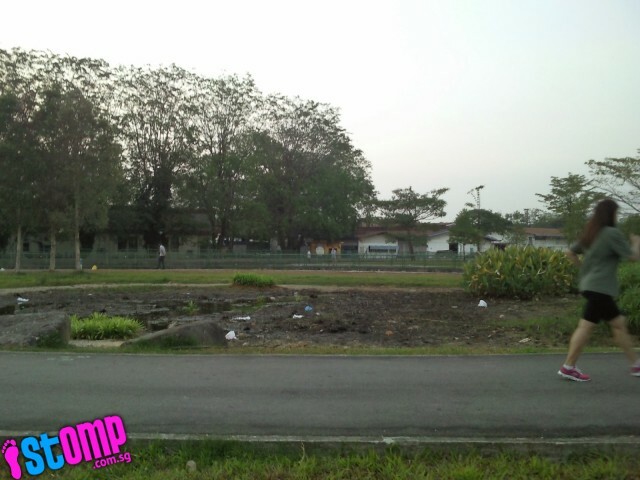 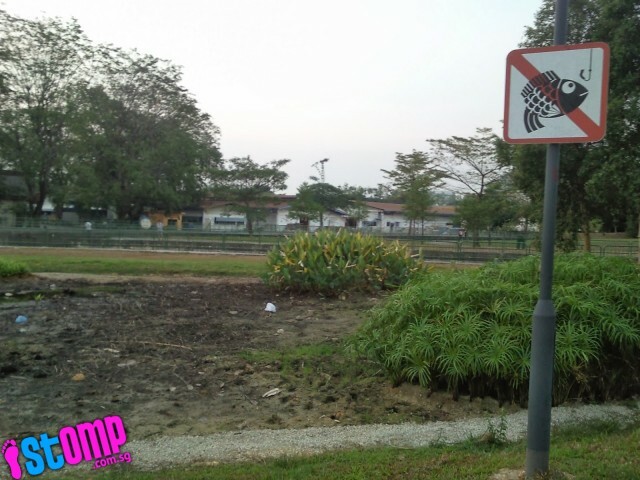 Stomp reader Alan also came across this pond at Ang Mo Kio, which had parts dried up due to the recent hot weather. 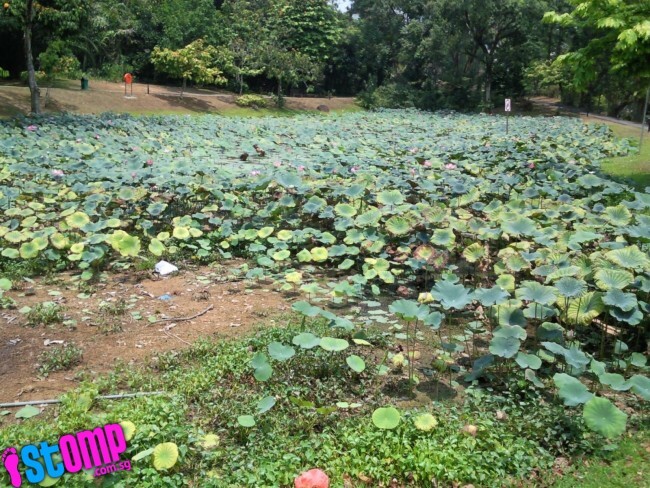 Despite the fall in water level, the lotus plants appear to be thriving, Alan observes. 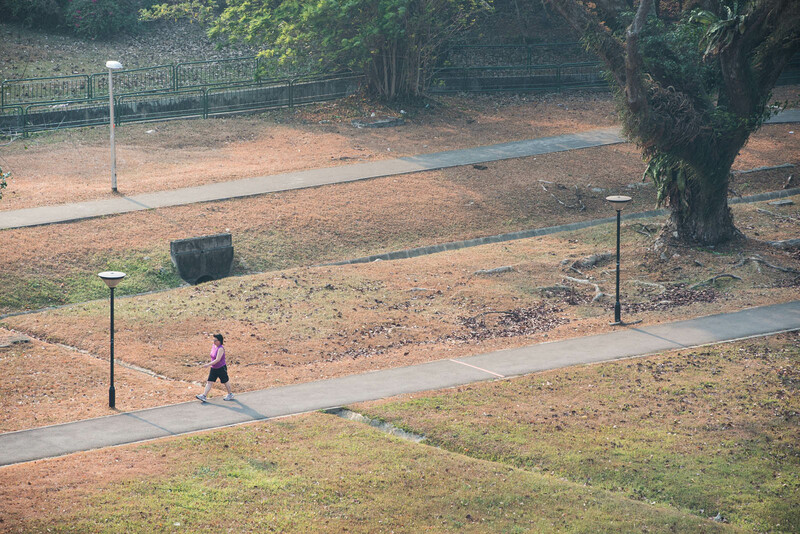 Barely any rain had fallen in in January 2014 and dry spells are common annually in late January or February during the end of north-east monsoon season. 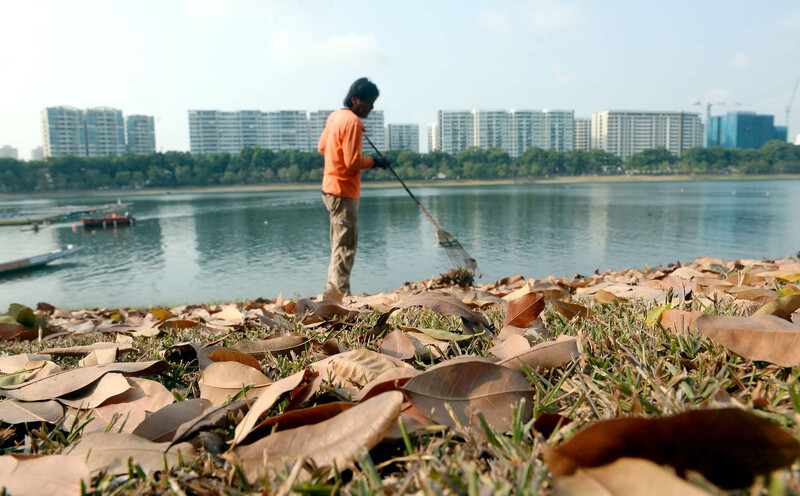 A sweeper raked the dry leaves at Bedok Reservoir. 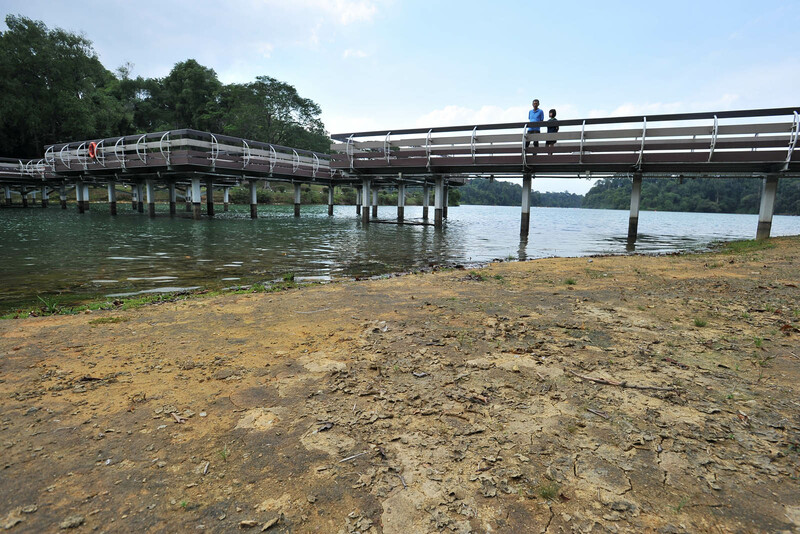 The water level at MacRitchie Reservoir was lower than usual due to the dry spells in Singapore. 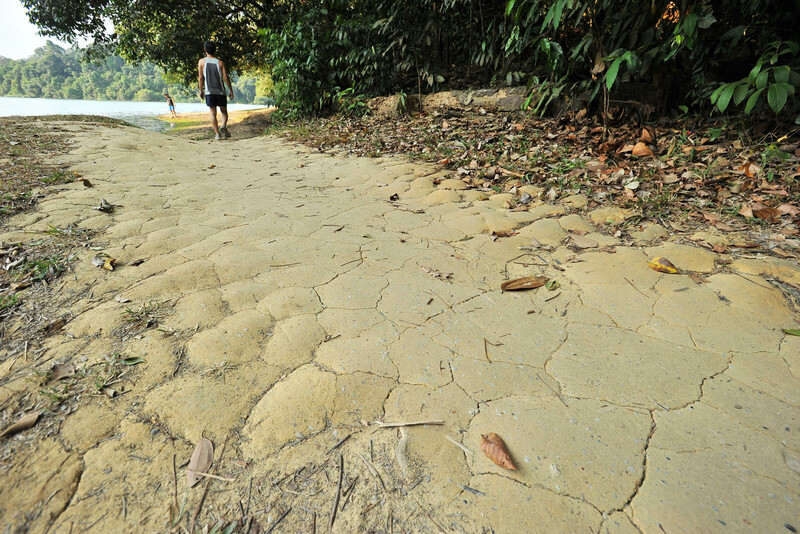 The drain dried up at Bedok Reservoir as Singapore experienced its longest dry spell in at least the last five years. 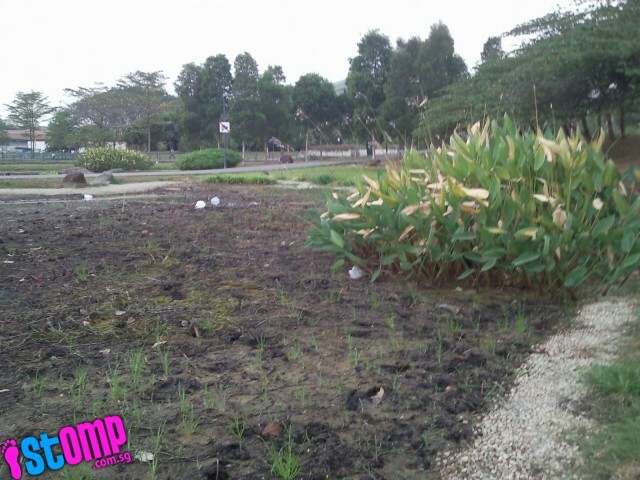 Patch of grass dried-up at Bedok Reservoir due to dry weather. 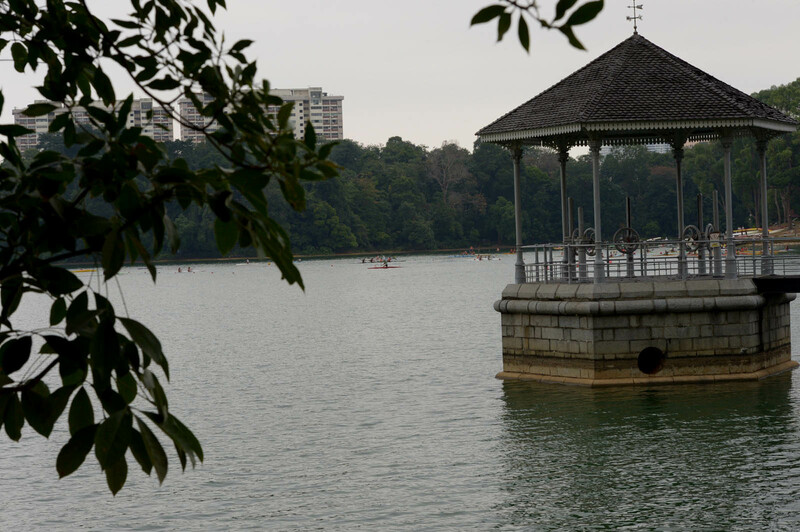 The causes could include low levels of dissolved oxygen or plankton bloom caused by the hot weather and neap tide, or when the high tide is at its lowest. 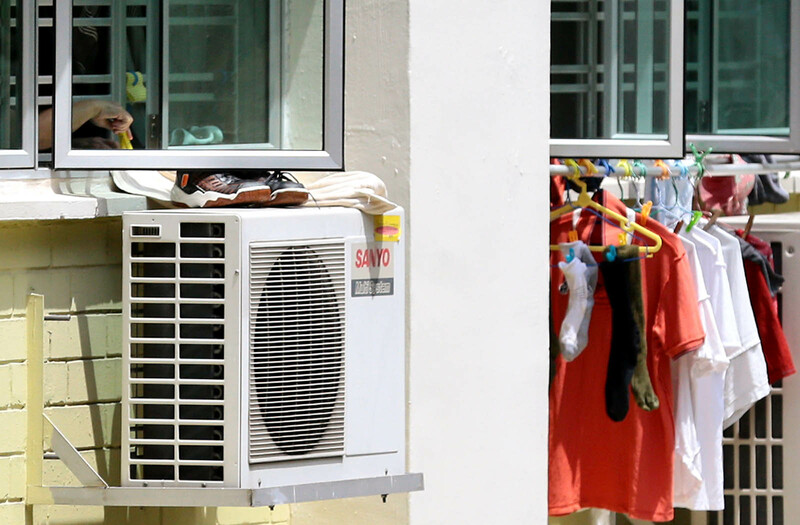 SUN'S OUT: An HDB flat resident in Bishan using every bit of space to dry his laundry. 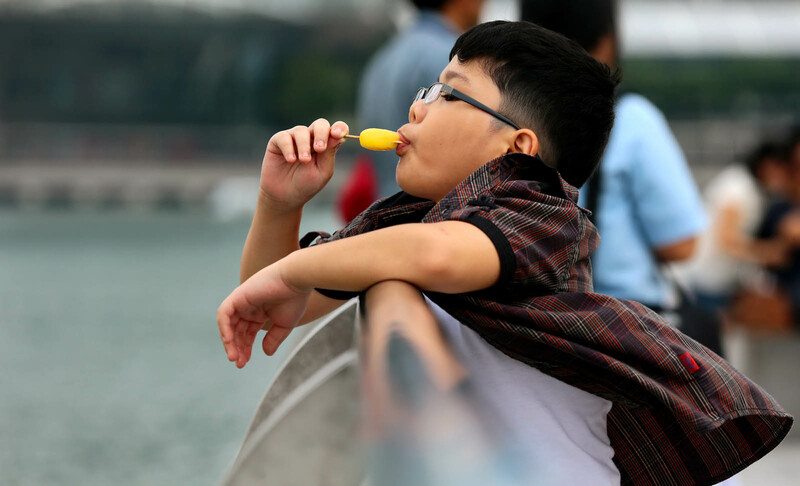 COLD TREAT: A boy at Merlion Park eating ice-cream in a bid to beat the head. 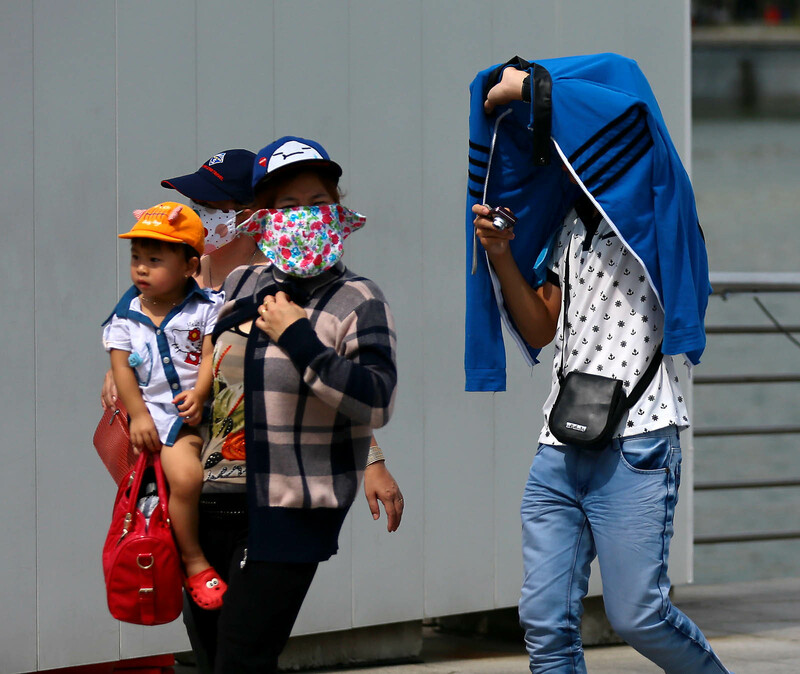 BRIEF RESPITE: People at the Merlion Park using items of clothing to shield themselves from the sun. 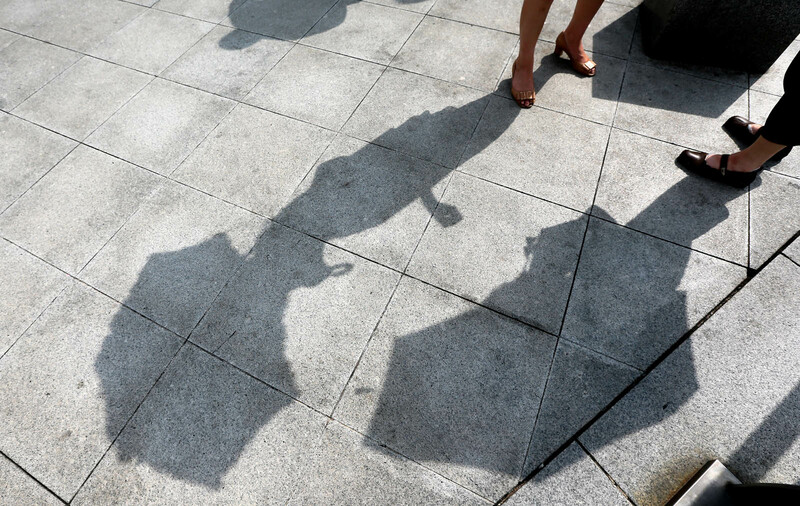 Shadows of two girls holding umbrellas are cast on the floor by the sun at Merlion Park. 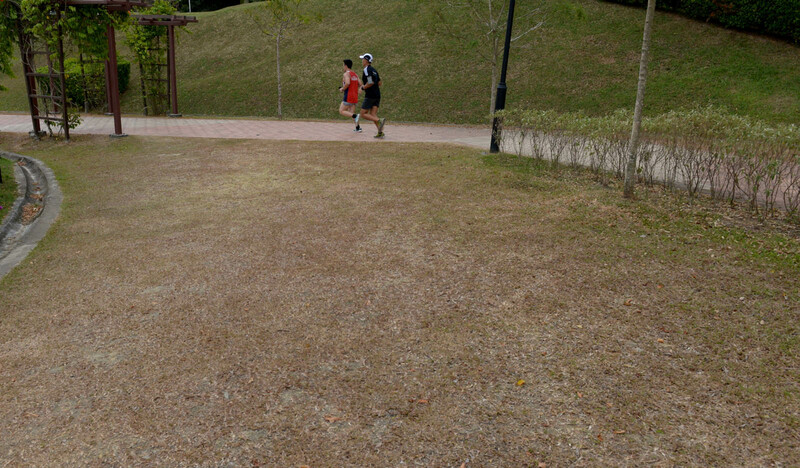 A man walking past dried grass at the park at Bidadari. 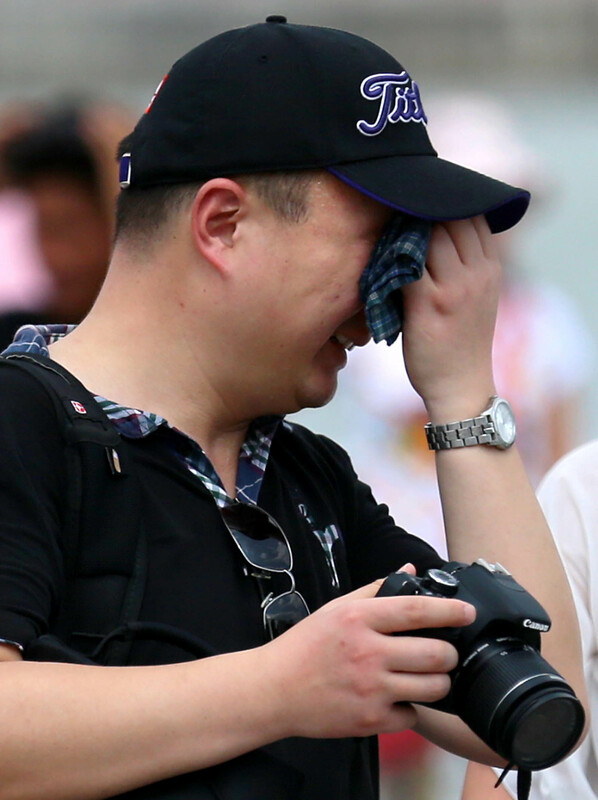 A boy pulls up his t-shirt while complaining about the hot weather at the Merlion Park. 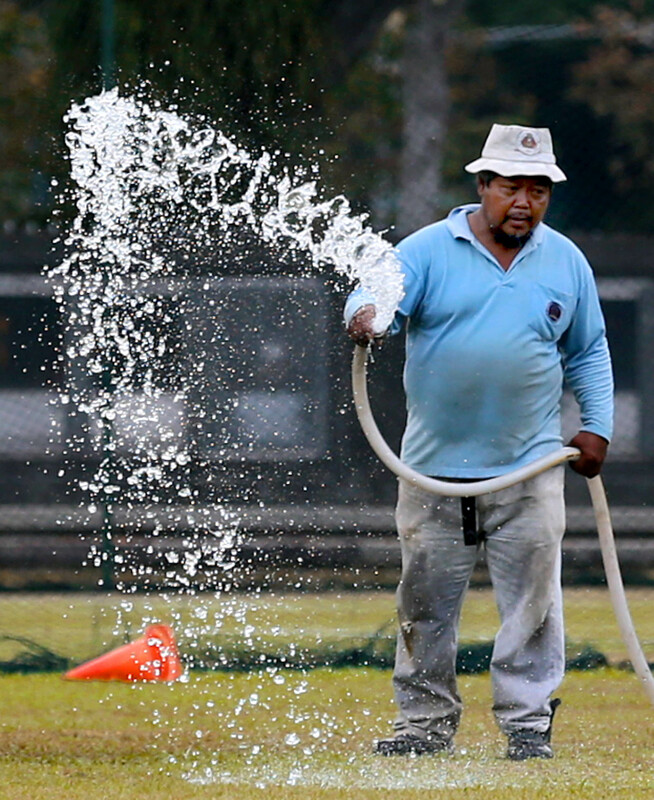 WETTING THE GROUND: A worker sprays water on the grass at the Padang. 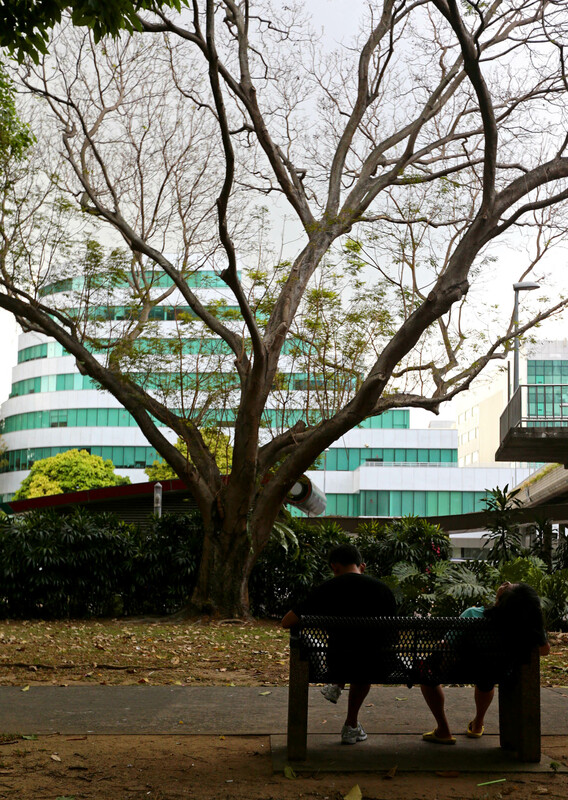 A couple resting under the tree at Hong Lim Park. 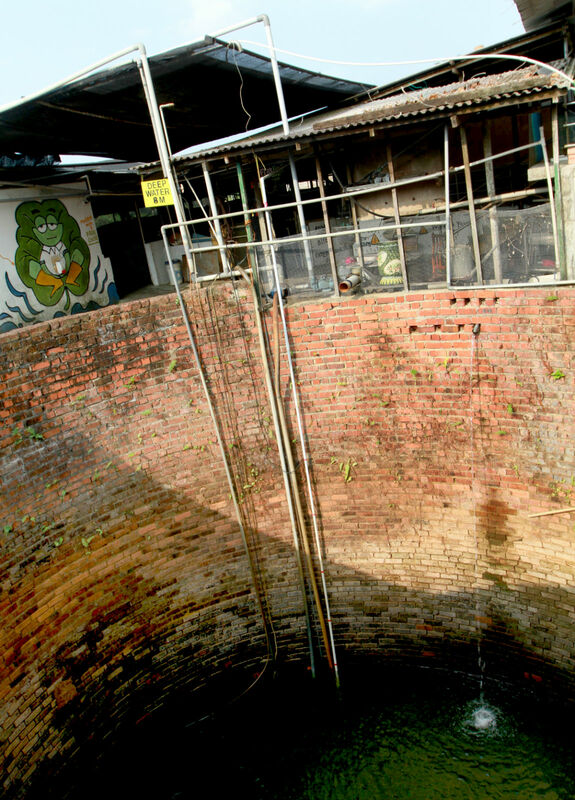 The well at Jurong Frog Farm at way below its usual capacity. 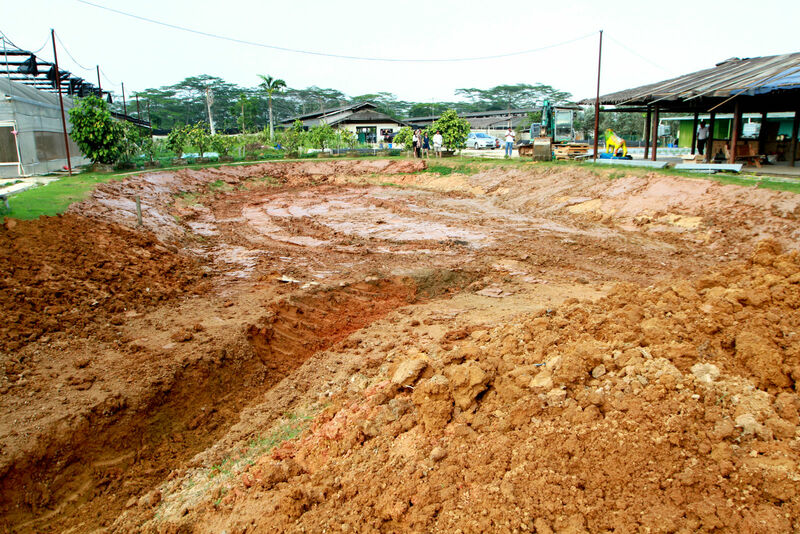 The farm's manager, Miss Chelsea Wan, showing where the water level of a pond used to be. 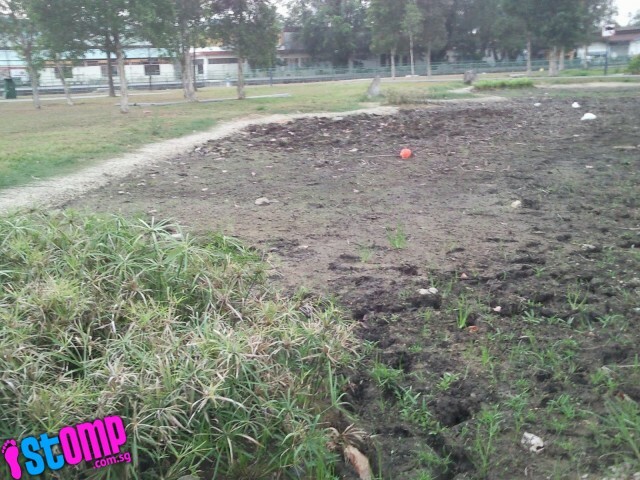 The soil at the farm in Kranji Agri Vista. 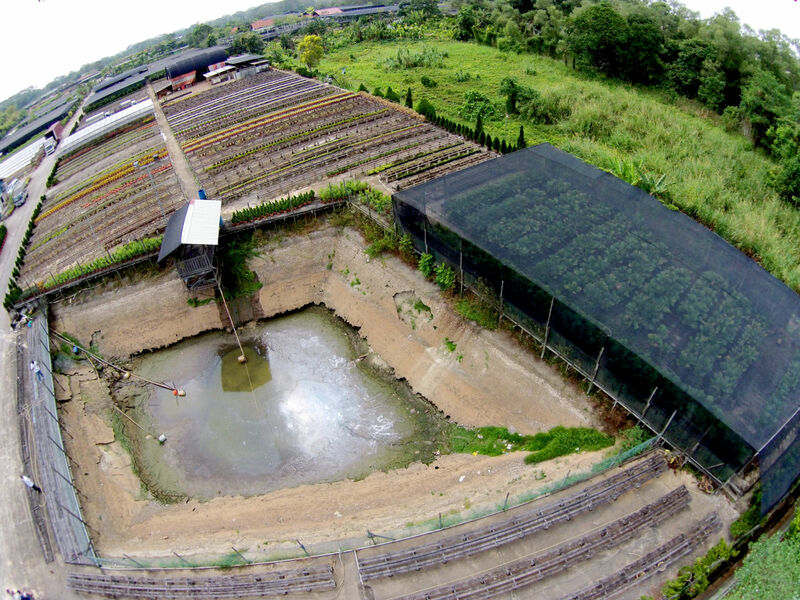 The farm's owners had to stop growing vegetables as they required too much water. 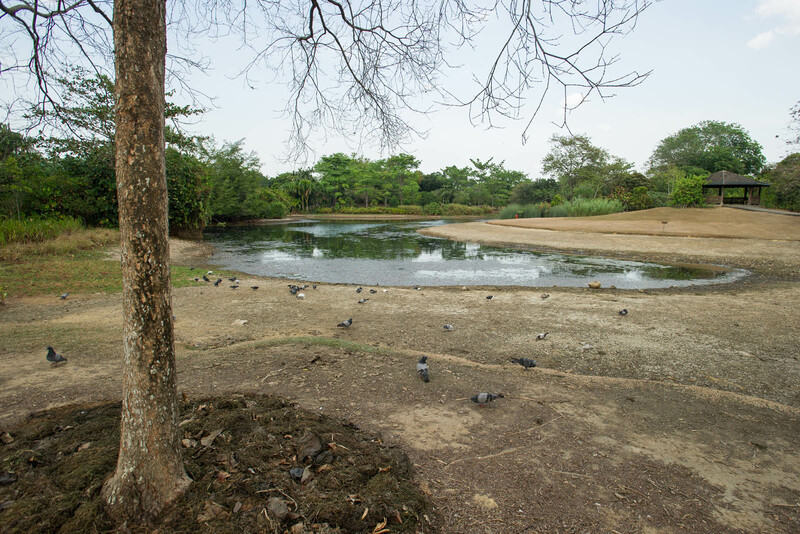 The pond at Sunny Horticulture which is used for collecting rainwater is nearly dried up. 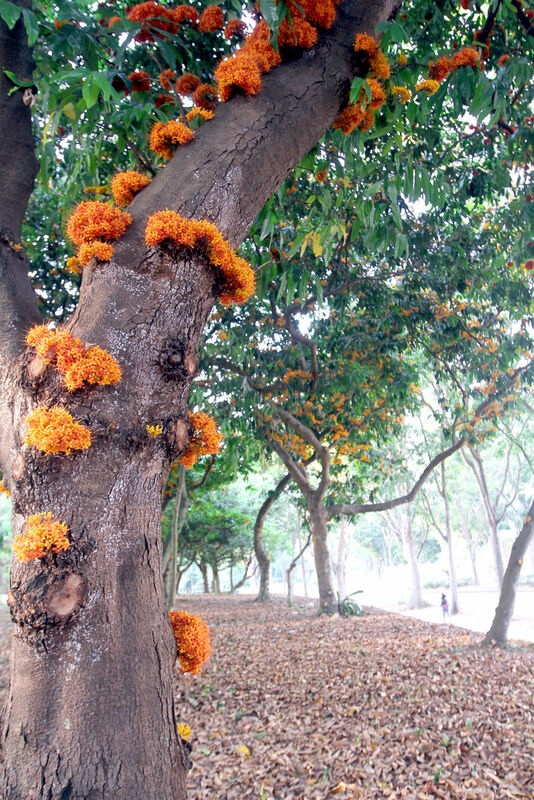 Some roadside trees are actually thriving in the dry weather, such as this Yellow Saraca.